John McAfee detained in Guatemala. Run from the law appears to be over. John McAfee’s run from the law appears to finally be over after Guatemalan authorities told Reuters that they have detained the McAfee Security founder after he entered the country illegally. 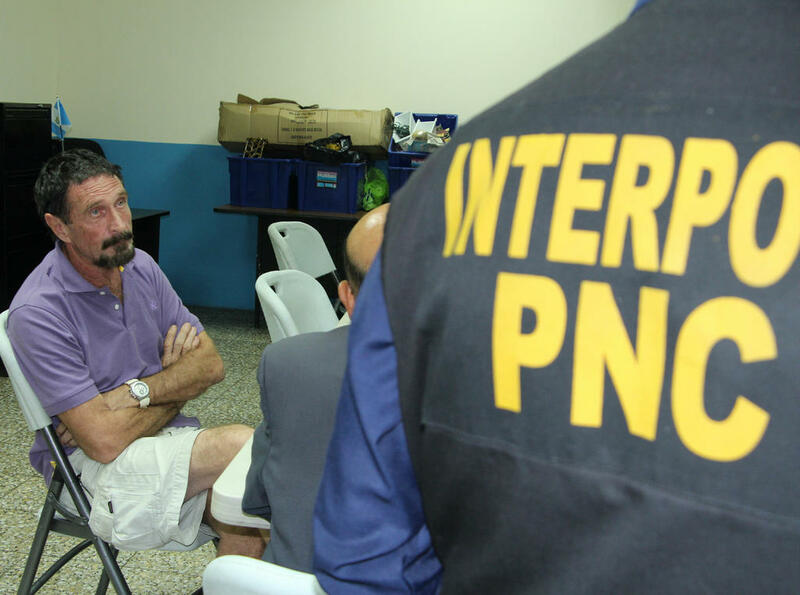 This amazing photo from Guatemala’s police, via Twitter — @PNCdeGuatemala — shows a very tired McAfee with officers from INTERPOL, though he is notably not wearing handcuffs. The news marks the end of McAfee period in hiding from authorities but there is a twist since McAfee this week claimed he would seek asylum in Guatemala having hired the best lawyer in the country. The fugitive has been on the run after being accused of murdering his neighbour in Belize, something that he strenuously denies. Update: The plot thickens. It seems that McAfee will be sent away from Guatemala according to government ministers. McAfee has had a rollercoaster past three weeks during which he has been living an almost film-like life as a fugitive. Mid-December, McAfee — whose blog had become a key communications platform for him — offered $25,000 in rewards to help find the killer of Gregory Faull, whose death saw McAfee become a wanted suspect in Belize. There was confusion when, McAfee’s own blog reported him as captured on the Mexico-Belize border, however it was later found to be incorrect. Most recently, an interview with Vice had reportedly pinpointed his location to Guatemala — thanks to metadata left in a photograph — but McAfee later refuted that claim, saying he had falsified the information deliberately.